If your commercial facility needs expert disaster cleanup, give us a call today at (650) 591-4137, and we can send a team out to you within hours. The unfortunate truth of commercial water damage is that it can often occur when you least expect it. Your stylish boutique's fitting room can be left with soggy walls from a leaky pipe that, if left unchecked, could become a breeding ground for mold and warped or crumbling drywall behind fixtures like full-length mirrors. 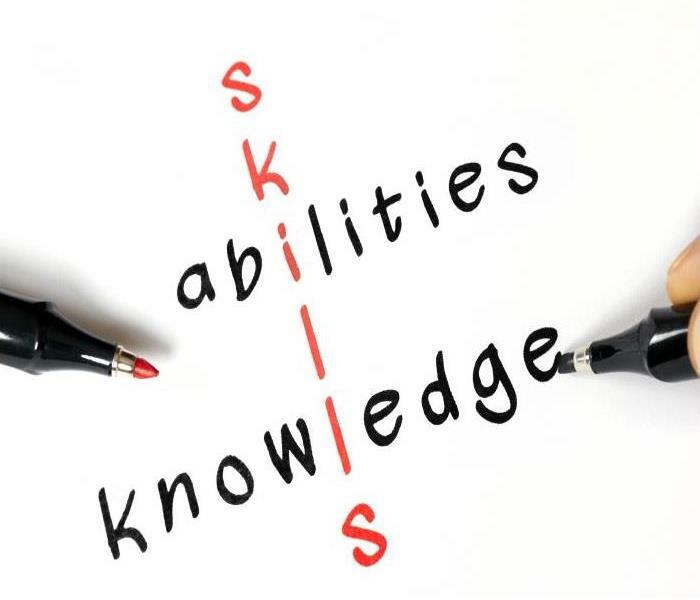 To fully mitigate damage and ensure the safety or your customers and employees, it is prudent to hire a team of professionals to get the job done right. If leaky pipes result in commercial water damage in your San Francisco boutique fitting room, SERVPRO technicians are ready to assist you. Our crew can restore your space to its pre-damage condition so you can get back to business as usual. When our SERVPRO team comes to you, we use a variety of tools to measure moisture levels in your water-affected surfaces. Moisture sensors are an excellent preliminary measure, but tools such as thermal imaging and moisture meters are also used to get a more accurate read on and behind surfaces. If there is damage behind a mirror or other fixtures such as benches, we can move those and dry them to minimize or eliminate damage and stains. For drying a soaked wall, small holes can be drilled to facilitate drying while centrifugal air movers can be placed at 45-degree angles to maximize drying. In many cases, air movers are positioned one per 150 square feet or 10 to 16 linear feet. Dehumidifiers take the moisture pulled out of surfaces by air movers, pass it over a material such as silica gel or refrigerated coils, and collect water to be drained while expelling warm, dry air. We can also use an EPA-registered antimicrobial to prevent bacterial growth on your surfaces. SERVPRO of Belmont / San Carlos strives to leave your businesses pristine after disasters. “Like it never even happened.” If your commercial facility needs expert disaster cleanup, give us a call today at (650) 591-4137, and we can send a team out to you within hours. When Your San Francisco Bathroom Experiences A Water Damage Disaster, Our Crew Is Here To Help! Water damage in San Francisco of any size needs to addressed quickly. A broken water supply line has the potential to dump a large amount of water quickly, and that is what happened in this half bath. A homeowner came home from work to find his downstairs bathroom had unleashed a mini-river. He turned off the water and pulled up as much water as he could. Then he contacted us to work on the remaining moisture left in the bathroom vanity cabinet and wall. Water damage in San Francisco of any size needs to addressed quickly. On arrival, our technicians removed the soaked bathroom rugs to dry in another area and used portable pumps and squeegees to remove as much residual water as possible from the floor and cabinet interior. We determined the subflooring was not affected; however, the vanity was saturated. Weep holes were drilled to allow for both drainage and airflow behind the wall cavity. Why SERVPRO? We are local, and our emergency response teams are available 24-hours a day to meet your needs for remediation with both compassion and professionalism. Each time we set up air movers and dehumidifiers, it is a specific configuration to the area in the property we are drying. We take the shape of the room into consideration and the particular angles necessary to best pull moisture to the surface so it can be captured and removed. SERVPRO technicians removed the wood baseboard under the vanity and used hoses to direct air both under and throughout the cabinet for thorough drying. 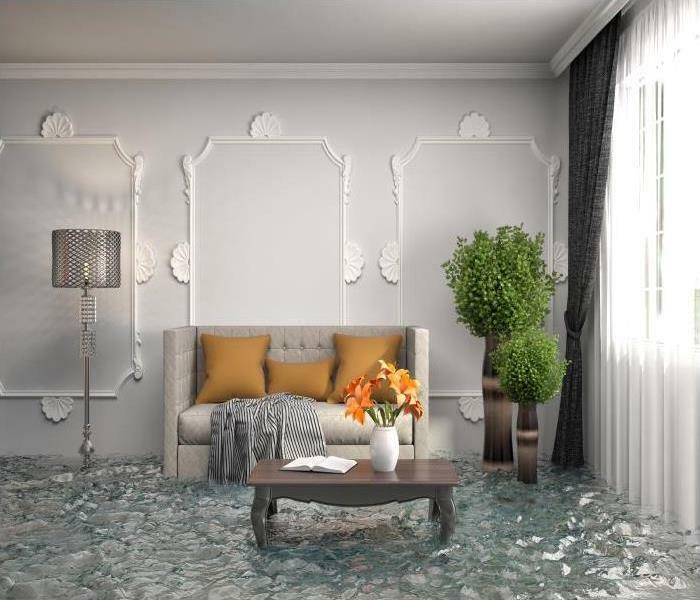 Water damage cleanup needs to happen as soon as possible, that is why SERVPRO of Belmont / San Carlos at (650) 591-4137 is available 24/7 to come to your property and restore and repair water loss to your property and contents. Home fires occur due to many reasons, one of them being overloaded sockets. 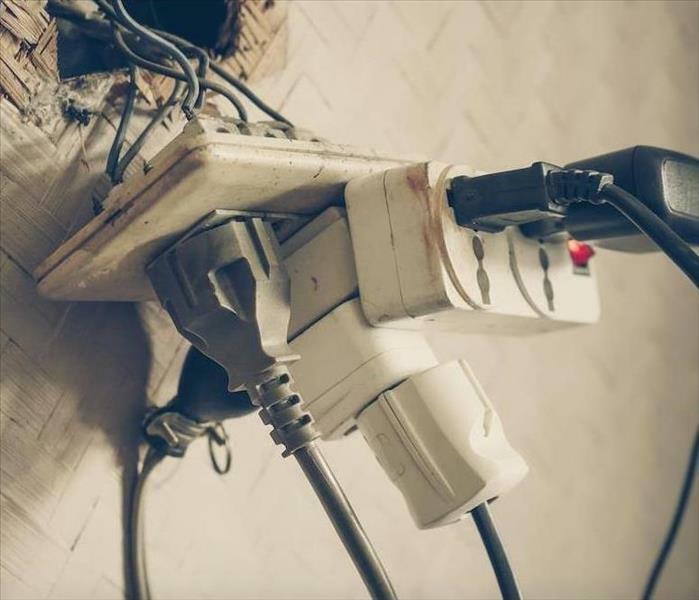 If you plug many devices into an outlet using extension cords, too much power is drawn into the outlet’s apparatus, causing it to overheat, and possibly melt, ignite or malfunction. To deal with the aftermath of a fire, you need fire damage restoration services. Walls, ceiling, and carpets can absorb the smoke a fire leaves behind, and it can remain even after several months. You can avoid long term problems and high repair bills if you follow the right steps to get your property back to normal. The most crucial step is contacting a fire restoration service like SERVPRO. Our technicians can assist you in restoring your San Francisco residence after fire damage. We have the technical expertise to assess your property and then plan and complete the restoration process. We respond to calls within an hour of receiving them and begin the cleanup process quickly since fire damage is corrosive. We use our expertise to deal with fire and smoke destruction. Your carpets, floors, walls, and ceilings may need a thorough cleaning. SERVPRO technicians use the appropriate cleaning products and equipment to clean and protect different surfaces. We can clean the soot on the walls in preparation for refinishing or painting. We can also clean and deodorize the restorable contents like furniture, area rugs, upholstery and draperies in the affected areas. We also clean and deodorize possessions like bedding, clothing, art, and electronics to restore them to the preloss condition. Deodorization eliminates bad odors. If the fire was massive, fire-fighters might have used a lot of water used to put it out. The water has to be cleaned up for it can ruin construction materials and contribute to mold growth. We can use dehumidifiers, water extraction units and blowers to quickly remove the water. We can also assist you in filling out the insurance forms required to claim damages linked to your fire accident. After a fire, SERVPRO of Belmont / San Carlos can help you to restore your property. We have the expertise to make your home look like it never caught fire. We’re Faster To Any Size Disaster. Contact us at (650) 591-4137 for fire damage restoration services in San Francisco, Redwood City, and Foster City. Click here for more information about San Francisco. SERVPRO of Belmont / San Carlos is always on call for your fire damage restoration needs. Structural damages are an everyday staple to widespread fire emergencies that affect San Francisco homes. While many homeowners want to address these concerns immediately, it is only part of the widespread effects that could impact your property during and after a fire has occurred. Addressing all of these effects as well as the structural concerns that exist requires comprehensive restoration services that provide a seamless transition between mitigation, restoration, and final restoration steps. While many residential contractors can work to provide reconstruction after fire damages to your San Francisco home, it is more cost-effective and efficient for your time to trust in a team that can provide both effective restoration and quality reconstruction. Our SERVPRO team has years of experience servicing the area with a 24/7 response to emergencies to begin necessary mitigation work immediately. This rapid response can reduce the need for reconstruction and help to prepare your home for that step to follow immediately after mitigation efforts complete. Through the fire debris removal process, our licensed contractors oversee these efforts to ensure that only the damaged portions of your property get removed. Not only does this mean fewer materials that must get reinstalled, but it also means less out-of-pocket expenses and wait time for you to get back into your restored home. We work to provide a seamless transition between the recovery efforts of the mitigation phase into the needed restoration work to come. With licensed contractors with experience in all of the building trades pertinent to residential reconstruction, we can transition from the initial mitigation into reconstruction right away. While other outfits might have you seeking out your reputable contractor, our SERVPRO team has already started work on returning your property to its original condition. 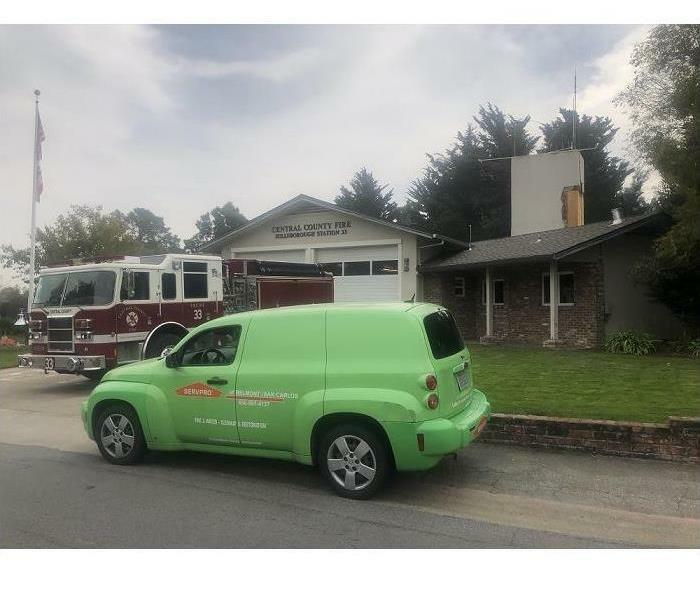 It might seem overwhelming to contend with fire damage that leaves structural damage to your house, but our SERVPRO of Belmont / San Carlos response team can help. With effective mitigation and experienced reconstruction, we can make fire damage “Like it never even happened.” Give us a call at (650) 591-4137. Read more about San Francisco here. Effective mitigation of a water loss incident in your home begins with water removal services from competent professionals like ours. 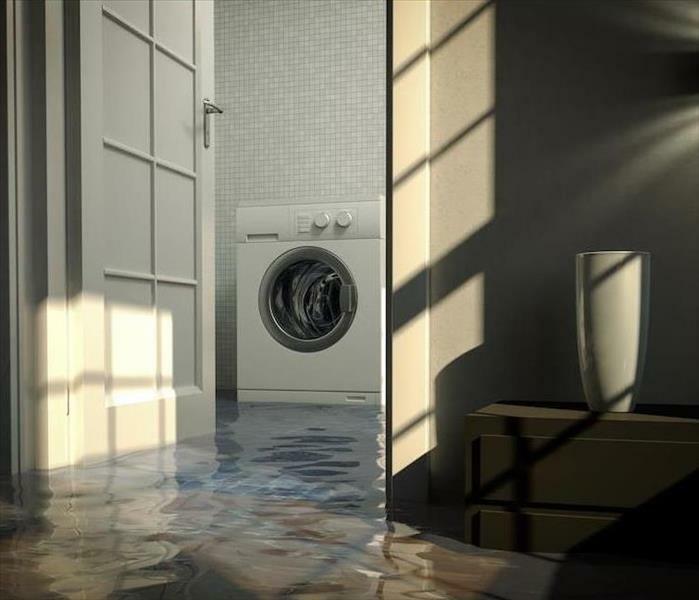 Many things can cause water loss incidents to occur in your Foster City home from plumbing breaches to appliance malfunctions, but the damage caused is equally detrimental to your residence. It is critical to respond to these situations quickly by getting in touch with professional restoration technicians like ours with the tools and expertise to make a difference in your home to prevent other unaffected areas from becoming damaged as well. There are many steps to contain a loss incident, but one of the first steps to restoring this hazardous situation is water removal in your Foster City home. Our SERVPRO professionals have many levels of extraction equipment and have extensive training in effective mitigation strategies that can help to reduce the spread of the water throughout your property. With our team being available to work on your damaged home 24 hours a day, we can arrive to the situation with the ability to help contain the current damage and repair the source of the water damage to allow you to reopen the water supply valve to your property again. Our extraction equipment can help to clear out excess water present in exposed areas such as our gas-powered pumps and our weighted extractors that can help to pull saturation from carpeted areas of your house. Rapid extraction work can allow our SERVPRO technicians to begin moisture removal and drying efforts which can contain the spread of the damage with the use of our efficient and effective drying machines like our high-velocity air movers, injectidry system, and LGR dehumidifiers. With the appropriate drops in moisture content, many exposed structural elements and materials can get restored without requiring replacement. Effective mitigation of a water loss incident in your home begins with water removal services from competent professionals like ours. 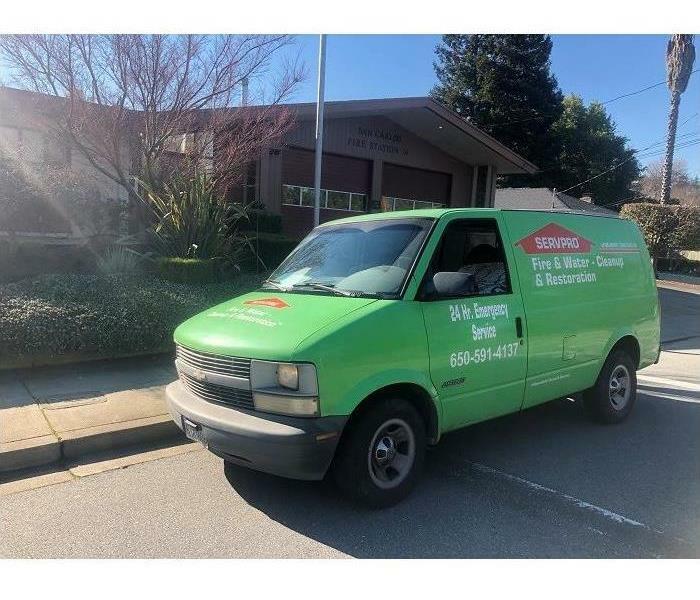 With our fast response time and industry-leading equipment, you can be confident in choosing our SERVPRO of Belmont / San Carlos team whenever disaster strikes. Give our crew a call today at (650) 591-4137. Click here for more about Foster City. A detailed plan of action is part of the journey to restoring your property to preloss conditions, contact SERVPRO of Belmont / San Carlos to begin. Unforeseen events at home can result in lengthy restoration procedures and testing to ensure it is safe for you to return. 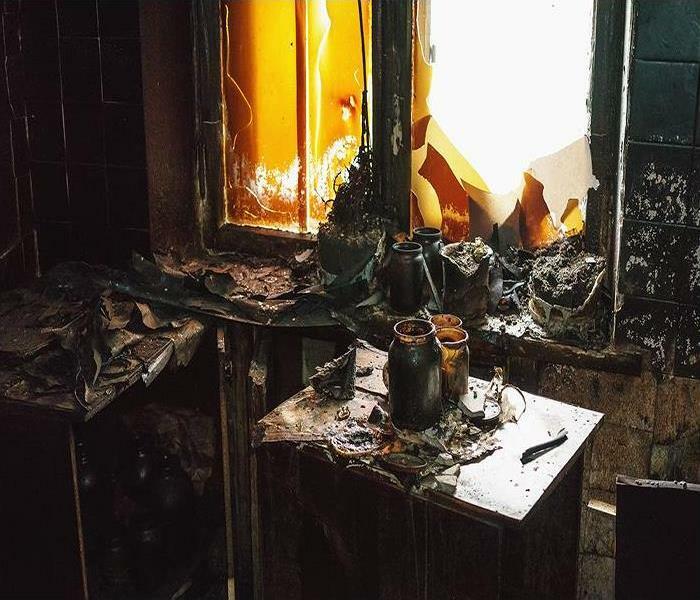 Often starting in the kitchen, a fire can be contained to one place, but smoke can spread outwards causing significant damages to furnishings or other areas. Using professional services with experience can help to mitigate losses and reduce the amount of time it takes to remediate your home. When it comes to fire damage in foster city residences the majority of cases are minor or medium in scale. 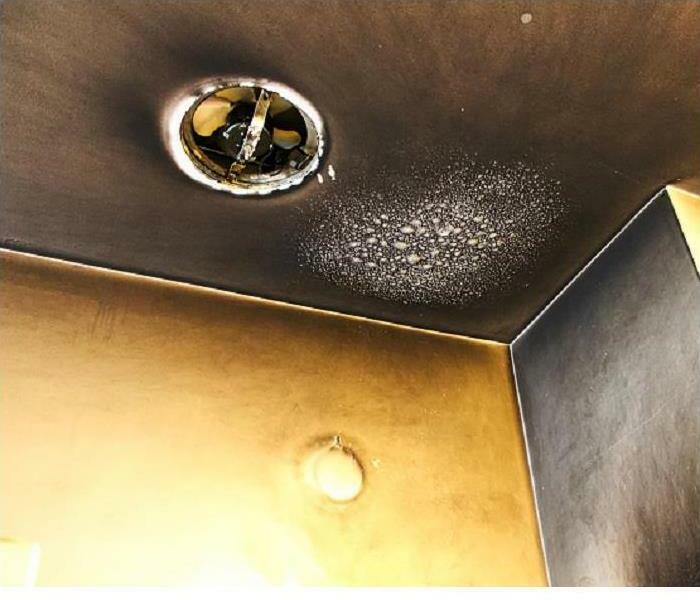 SERVPRO classify a medium scale fire as significant smoke residues which may require repainting, restoration, and replacement to ceilings, fittings, contents, walls or floors. Thankfully, in most medium losses, contents restoration can be done onsite without the necessity for expensive pack outs or relocations. SERVPRO has technicians with IICRC certificates in fire damages and operates with a five-point plan to bring your property back to preloss conditions. We begin with mitigation which could involve performing temporary board ups or drying properties that are wet due to firefighting procedures. Temporary electrical generators can be provided if the property's primary source of electrics is shutoff. Mitigation procedure is about preventing further damage and performing immediate, albeit temporary repair. SERVPRO follow it up with structural and contents cleaning. Repainting damaged walls and ceilings or removing items to a clean zone to allow both in-depth cleanings of the structure and restoration of personal possessions. Some property owners may need specialty restoration. This restoration could include valuable items like artworks to be packed out and treated to advanced methods. Ultrasonic cleaning can be provided where necessary to help remove ingrained soot from valuable metals or woods, mechanical cleaning for clothing or refinishing furniture. It is rare for medium scale fire damages to require reconstruction. However, where it is necessary, SERVPRO can leverage our trusted third-party contacts to perform architectural remodeling if areas of the structure are beyond repair. Odors left behind after a fire can be treated at the source or neutralized using industrial grade foggers. A detailed plan of action is part of the journey to restoring your property to preloss conditions, contact SERVPRO of Belmont / San Carlos at (650) 591-4137 to begin. How Does a House Fire Impact the Air Quality of Your San Francisco Home? Smoke and soot can cause damage to the indoor air quality of your home. After a fire occurs in your San Francisco home, many homeowners work to reach out to their insurance company to get the process started for recovery and restoration. As a result, this insurance provider requires documentation, photographic evidence, and cataloging of the damage to approve a claim made for home restoration. As simple as it might seem to gather this information on your own, there are risks with entering a home after a fire that many homeowners might not understand. Indoor air quality can often become steeply compromised after fire damage occurs in your San Francisco home. Smoke and soot particles can remain in the air after the incident, posing a risk of their own for inadequately protected people entering the home. Additionally, threats like chemicals, gases, and contaminants can cause health effects to exposed individuals assessing the property without respirators or even SCBA gear. Our SERVPRO technicians can assess these risks and arrive with the personal protection equipment needed for a thorough inspection of your property to acquire the information your insurance company needs. Improving the indoor air quality of your home begins with reducing the particulates and contaminants that could be circulating through the air. We can set up several pieces of equipment including air scrubbers and hydroxyl generators. Both of these have HEPA filters inside that can trap particles as small as .3 microns. The equipment continues to run through debris removal and any necessary tear out processes to reduce dust, debris, and further spread of soot and smoke effects. From the time that the first responders leave, give our SERVPRO of Belmont / San Carlos fire restoration technicians the opportunity to show you how our extensive training and industry-leading equipment can work to restore your home entirely. Give us a call at (650) 591-4137. Whether flooding in your home is due to internal or external causes, the need to contact team SERVPRO still exists. Contact us for water removal. Living in Redwood City is ideal by most standards. Its proximity to San Francisco and the growth of technology makes it a lovely place to set up home. However, it can also fall victim to the effects of mother nature, and homeowners need to prepare. As implausible as it may seem, a torrential downpour can quickly escalate, causing floods and leaving significant damage in its wake. When water enters your home, it is best to call a professional team to your aid. If you encounter flood damage to your home in Redwood City, SERVPRO is ready to become your most invaluable resource. Time is of the essence when reacting to a flood in your home, but so is a targeted approach. Our team is trained and specialized in assessing the extent of the damage, including the anticipation of collateral effects left by the entry of water into your home. Mold, for example, may eventually appear if the remediation process is not done correctly, which is why the help of our professional team makes a difference. Upon arrival, our Green Fleet ensures that all work areas are safe. With precautions in place, we proceed to extract water remains from your home. We have at our disposal an array of tools and technology to achieve ideal moisture levels in your home, ranging from submersible water pumps to wet/dry vacuums. As we extract water, we collect information on the air quality of your home and continue to act accordingly. 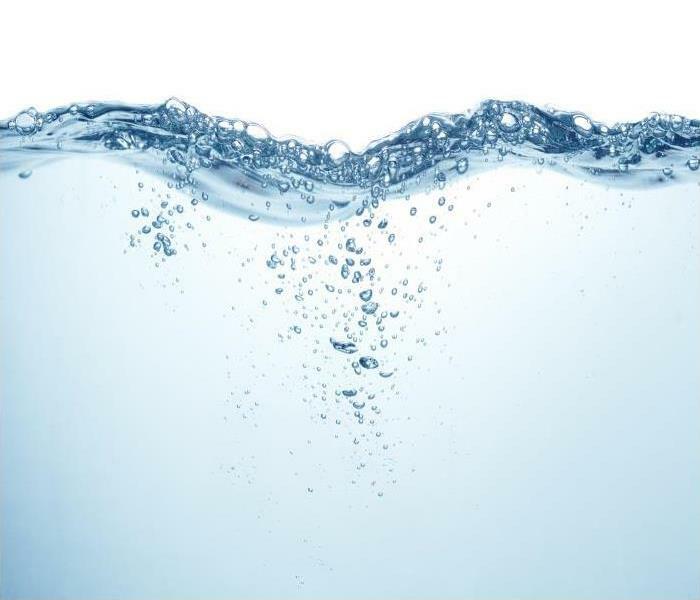 Once our sensors and monitors verify that we have achieved industry-defined optimal water levels, it is time for us to deodorize and disinfect your home. The process may sound simple, but our SERVPRO team has carefully studied the principles of psychrometry to inform us of our progress. We also train on the use of techniques, such as drilling small holes on your baseboards, focused on promoting the air flow through your home and walls. This thorough approach far exceeds what the average homeowner can achieve with household-grade equipment. It is important to remember that any water excess can become a breeding ground for mold and bacteria, which may be a hazard to your health. At SERVPRO of Belmont/San Carlos, we put our best foot forward to protect your home from long-lasting flood damage. 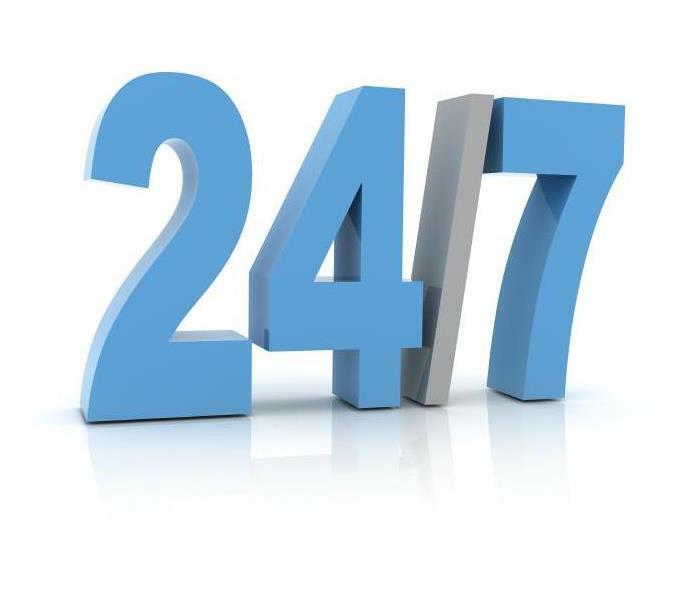 All you need to do is call us at (650) 591-4137 where our team is ready to respond to your emergency 24/7 should you ever need our expert advice. Click here for more about Redwood City. 4/10/2019 - When Your San Francisco Bathroom Experiences A Water Damage Disaster, Our Crew Is Here To Help! 2/25/2019 - How Does a House Fire Impact the Air Quality of Your San Francisco Home?